A passionate attack on the dumbing down of the media is the powerful message from a display at the Barbican Gallery. It has provided Pilger with the chance to present the true craft of photo-journalism as opposed to "infotainment". 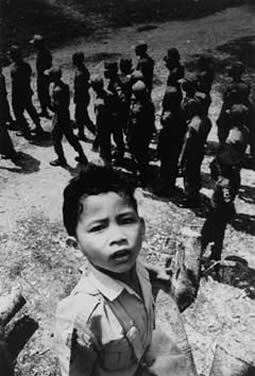 An East Timorese boy watches Indonesia troops pass through the streets of Dili. These demonstrations by the occupiers were frequent and meant to intimidate. His "truth telling" partnerships produced landmarks in the history of photo-journalism from the 1970s to the present day. They show violence wreaked upon people in the developing countries and the cruelty of dictatorships supported by imperialist powers such as the United States and Britain. Pilger is at pains to emphasise that the source of great violence is "great power" and that the mass of the people are compelled to struggle against this. "What we see is not personal violence but people confronting state violence of one form or another." He is angry with the suggestion that people are "victims". On the contrary, he says, even people in East Timor who confronted the Indonesian military demonstrated their bravery. Those who survived the massacre joined the resistance movement against the state powers. "These photographs are about people's lives," Pilger stresses. "They are a testimony to their resilience." He feels that returning to a place is even more important that the documentation of the original events. 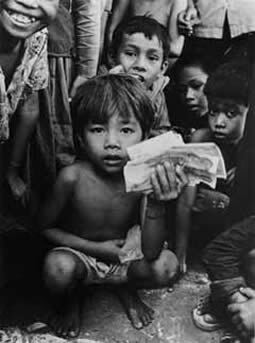 The exhibition reveals the long-term effects of political turmoil and wars of liberation from East Timor, the Philippines, Cambodia, Burma, Indonesia and Bangladesh. Nicaragua and El Salvador. The lives of people in the United States are captured by US photographers Matt Herron and Ken Regan. There are also sections on Hiroshima, Australia and Britain as well as images of the Soviet Union. Pilger pours scorn on the notion that the show is a "personal" record of his own life. No, he wants to show how ordinary people struggle to live under extraordinary circumstances! Magnum photographer Philip Jones Griffiths' historic images of war in Vietnam are the most harrowing and moving of all. Jones Griffiths shares Pilger's no-nonsense clarity of vision. He believes that a professional cameraman cannot be sentimental. "You can't focus your lens with tears in your eyes," he quips. But he adds a rider: "Today's self-focusing cameras can allow you to shed tears while you are at work." "Vietnam was my Everest," he adds. The photographs by Jones Griffiths, David Munro and Pilger himself make the horror - and heroism - of the Vietnam conflict unbearably vivid. The delusions of the US military chiefs, the massive destruction of an entire country, and the long-term effects on both sides are blindingly clear. "We want to remind people that real photojournalism is about making sense of things and being a witness. It is about living history." Why do we see so little journalism of this quality in today's media? Pilger and his colleagues like John Garrett and Jones Griffiths believe that today's press is dominated by lifestyle and trivia about the lives of celebrities. "In the 1970s the British press was owned by rich people who enjoyed owning newspapers and didn't care if they made a profit," Pilger says. "It was a more benign though terribly inefficient view. This has changed. Editors think in corporate terms. They have been seduced into collusion with the corporate state of the media." 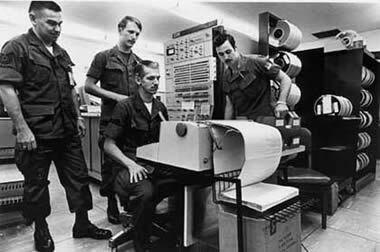 Pilger believes that alternative ways of running the press are possible. "Even the Labour Party", he says, once proposed schemes where state money could help fund media while not influencing editorial policy. This overview of the last quarter century proves that mass murder failed to save repressive armies and regimes around the world, even while others persist to this day. "We should not underestimate the power of today's anti-capitalist movement", Pilger told Socialist Future. "Plenty of monoliths have collapsed in history!" Great Eyewitness Photographs was at Barbican Gallery. Ticket also includes admission to Landmarks, photographs by Fay Godwin. Associated events included: Reporting the world: Is Photojournalism Dying? John Pilger Films. Death of a Nation - Timor Conspiracy (1994), Welcome to Australia (1999) and Pay the Price - Killing the Children of Iraq (2000).